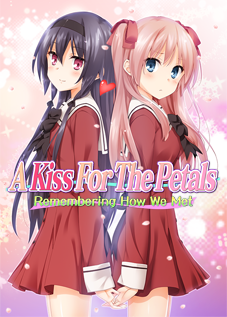 The first of St. Michael Girls’ School’s debut releases, A Kiss For The Petals – The New Generation! (その花びらにくちづけを　にゅーじぇね！Sono Hanabira ni Kuchizuke wo – Nyuu Jene!) features three new couples in an annex building of the campus. It is illustrated by Aida Takanobu and Madoka Madoka, who worked on the Angels series of visual novels. It was revealed in the December 2014 issue of Dengeki Hime. The official website launched on 23 January 2015 and contains information on story, characters, and nine preview images. It is an age-restricted site, unlike the rest of the St. Michael Girls’ School website. The opening movie was published on YouTube on 21 May 2015. See below for information on casting. 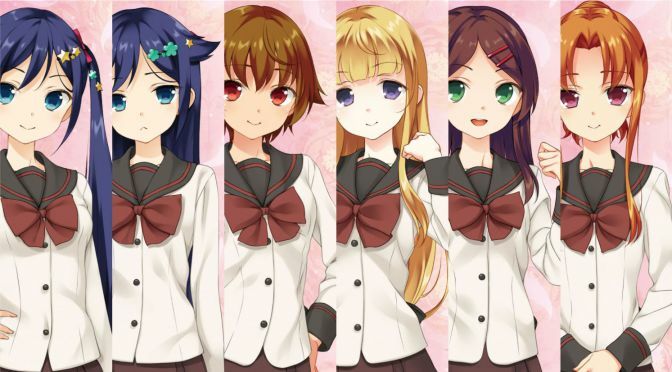 Update 6 June 2015: A short story series title White Lily Memorial is being published to further introduce the characters prior to the release of the visual novel. Translations by Ralen are ongoing. The release is currently scheduled for 26 June 2015 at a price of 6,800 yen, which is less than the previous full-size releases by Yurin Yurin priced at 9,600 yen. 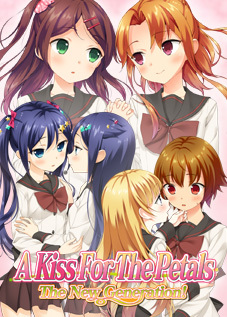 A demo version is available that contains a short portion of the introduction and excerpts of one love scene from each couple’s individual story. I have uploaded to MediaFire for the convenience of non-Japanese readers. As with the demos of previous visual novels, it As with the visual novels proper, you will need to use a Japanese locale to run it. You can use AppLocale for this purpose; I recommend this modified version of AppLocale. Readers from outside Japan can pre-order A Kiss For The Petals – The New Generation! from Mangaoh Club, which provides a Google Translate button for many languages. Shipping is provided internationally through EMS. The new information on the overall story and characters in the order they are presented on the official website have been translated by Ralen. The stories of each couple from Dengeki Hime have been retained. See the official character information page for voice samples. Unlike the releases of Yurin Yurin, each character has only one image. A refined young lady with an air of natural grace who people naturally want to protect. Her beauty and parentage, combined with her manner, have garnered her a large number of fans. Aya is a transfer student, who has just gotten into the swing of things with the upper class girls. Her older twin sister, Ai, is so clingy that the rest of the class treats them like they’re a couple. But how does Aya feel about this…? Rina, the radiant maiden, and Nagisa, who’s always at her side. Rina is actually a kissing fiend, and will lock lips with Nagisa any chance she gets, regardless of the time or place. Will this, combined with various other factors, push Nagisa’s embarrassment over the limit?! 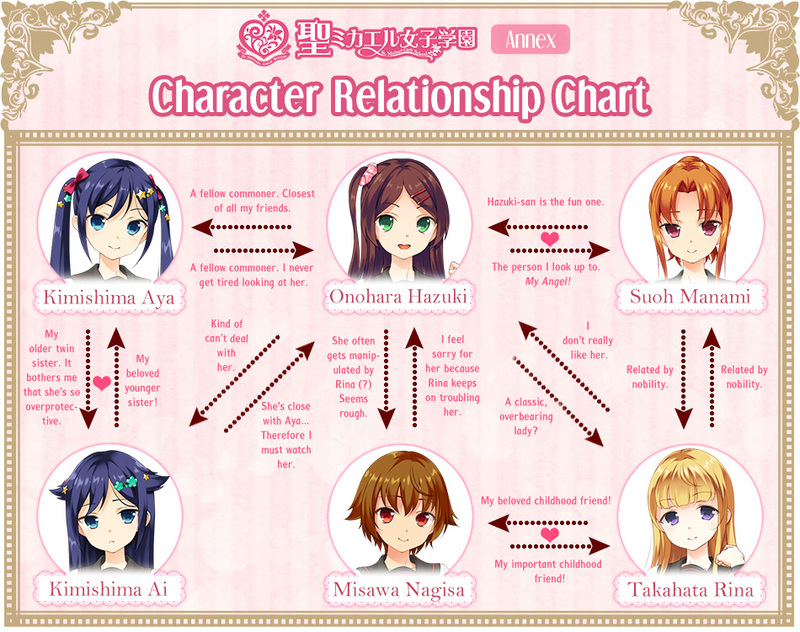 On 8 April, a character relationship chart was added to the character information page. It has been translated into English by Seiyuuri and Ralen. Of note is that Hazuki has links to all other characters, who have only two or three each. This, along with the story summary below, makes it rather clear that she will be the primary point of view character. The story is as follows and places the focus on Hazuki and Manami. …And so, the loveliest, most becoming couples were subsequently nominated. Couple # 1 are childhood friends Misawa Nagisa and Takahata Rina. Couple # 2 are Kimishima Ai and her younger twin sister Aya. And transfer student Onohara Hazuki, who had been regarding the entire thing as no concern of hers, was shocked to hear that she too was selected as a nominee. However, her partner is the sheltered princess Suoh Manami. Hazuki has actually been a secret admirer of the impeccable Manami, but there’s little chance of them becoming an actual couple. Though their classmates gush over them, it’s ultimately hollow. An interview question from Dengeki Hime to writer Madoka Madoka pertains to this visual novel. For Aya and Ai, ‘We started life as one.’ …Twins searching for their missing half. For Nagisa and Rina, ‘Love is blind.’ …The past and future spent with you is what gives my life meaning. For Hazuki and Manami, ‘Curiosity killed the cat.’ …A fateful love, where getting too close just to satisfy her curiosity brought about her downfall. From 13-28 February, St. Michael Girls’ School held an audition for the roles of Hazuki and Manami, the results of which were announced on 24 April. On 15 May, the full cast was announced. 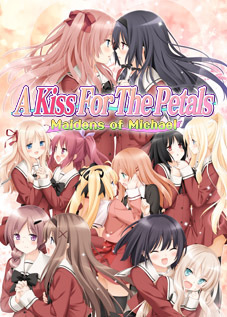 Unusually, the casting for the lead roles of Hazuki and Manami was done after the release date of 26 June was announced, and rather late in the visual novel’s development. Additionally, the audition was open to all applicants and all ages, but the roles were ultimately awarded to established performers. No information has been provided to clarify these extraordinary circumstances. In addition to their roles as the primary characters, Lili and Amane perform the visual novel’s opening theme, “New Generation”, which was uploaded to YouTube by St. Michael Girls’ School on 1 May. This song was produced by Anzu Hana and is the first visual novel theme to not be performed by her. According to her tweets below following the announcement, she was offered this role after unsuccessfully auditioning for a lead role herself. A Kiss For The Petals – The New Generation! is currently scheduled for release on 26 June 2015.